This is the new Boro away strip 2015/2016, Middlesbrough FC’s new change kit for the upcoming Championship season. 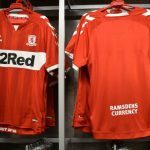 Made by Adidas, the new Boro away kit was officially launched on July 2, 2015 by the club. 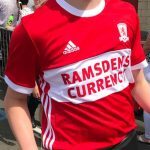 Boro launched their 15/16 home kit just before their playoff final against Norwich- some very good timing one has to admit, and the strip sold out in various sizes, and will not be back in stock till October. The club will be hoping that their away shirt will see similar sales. Boro lost the playoff final to Norwich, meaning that this season will be another attempt at promotion from the Championship to the top flight for Aitor Karanka’s men. 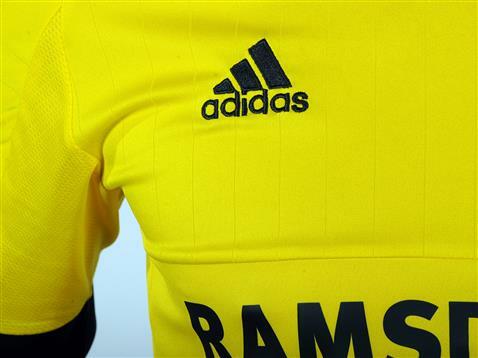 The Boro crest and the logo of sponsors Ramsdens are both in the same dark navy tone, and the shirt is completed by dark navy shorts (with yellow stripes) and socks. The famous Adidas stripes on the shoulders are navy too. 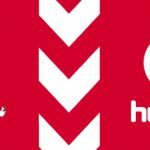 The likes of George Friend, Adam Clayton and Albert Adomah are here seen modelling the new Boro away top. This entry was posted in English Championship and tagged Adidas on July 2, 2015 by Football Kit News. I just dont see yellow & black as Middlesbrough away Colours. but it looks not to bad would have made a good Borussia Dortmund home kit or Livingston F.C home kit. Nice and tidy kit which I’m sure will sell well. Like it too, nice alternative for Boro.